A substantial proportion of the CO2 we release into the atmosphere, via burning fossil fuels, ends up dissolved in the ocean. The impact of this is a change in the ocean’s acidity: the pH drops. According to the Smithsonian, oceans have become substantially more acidic over the last 200 years (the period of the Industrial Revolution) – waaaay faster than any natural changes in pH in the previous 300 million years. One of the known effects of this decrease in oceanic pH is that some animals can struggle to build or maintain their shells (you’ll find one example here; others are listed here), which can have a range of flow-on effects. But the other day my colleague Chris Battershill told me that changes in pH can also affect animals’ behaviour, sometimes in quite subtle ways. 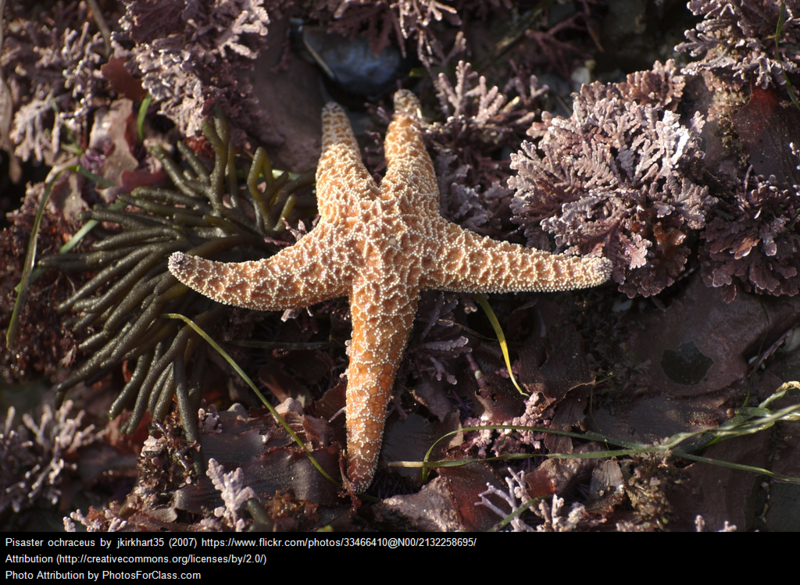 One example: the effect of increased acidity on interactions between turban snails and starfish. Fish can also be affected. Lonnstedt et al. (2013) list a number of studies showing that fish behaviour changes quite significantly with changes in pH. They may fail to respond to homing odours, for example, or to predation cues. In some experiments, larval damselfish raised in the pH conditions likely to be experienced by 2100 were more likely to be predated than those raised in the conditions prevailing today, due to changes in their anti-predator responses. Again, there’s the potential for a cascade of ecological effects, if these results are reflected in oceanic ecosystems. The impact of ocean acidification bears consequences for human society. Those interested in learning more about this issue could do worse than read their overview paper, which summarises our current state of knowledge and also directions for future research. **You could argue that this is something of an understatement, given our reliance on the oceans as a food source. The post ocean acidification may have unexpected impacts appeared first on BioBlog.